Interactive play is where the digital and physical worlds around us meet. In short, it is "real-life gaming". The electronic video game portion brings challenge, problem solving and a continued renewal of game options to play. The physical portion brings benefits such as exercise, social interaction, teamwork and experiencing the outdoors in a healthy manner. Suitable for all environments; indoor and outdoor. Yalp designs its equipment to be both accessible and inclusive for people of all ability levels and ages. 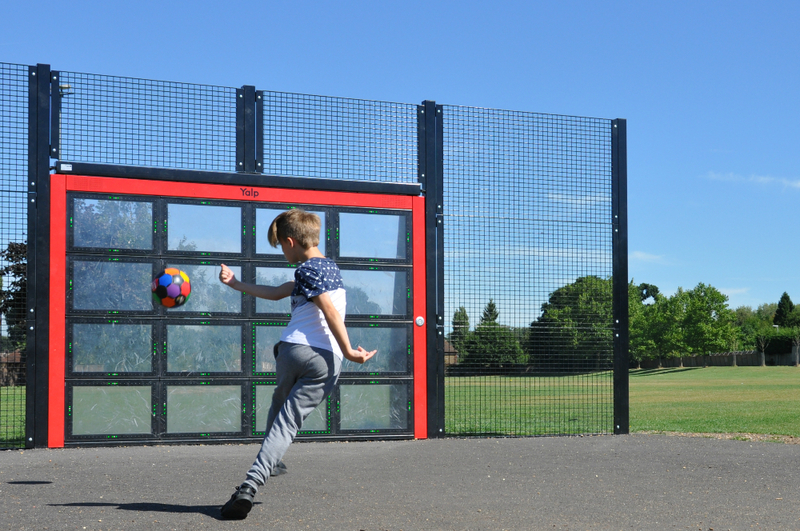 Browse our five new interactive play systems below. Be sure to incorporate space around or near the equipment for relaxation and rest. These activities are sure to get your heart pumping! • Training and accuracy games.